The In-Sight laser profiler is a measurement system used to verify that a part's dimensions meet specifications. The In-Sight laser profiler is configured using the In-Sight EasyBuilder user interface. This intuitive, easy-to-use software makes it simple for manufacturing and quality engineers to develop, deploy, and support high-accuracy measurements on the factory floor. Measure—Flexible In-Sight laser profiler toolset extracts features, constructs reference points and verifies whether a product has been manufactured within tolerance. Communicate Results—Measurements are sent to a PLC or an overall pass/fail is sent directly to a discrete output. The In-Sight laser profiler system combines Cognex displacement sensor heads with the In-Sight VC200 vision controller. Using industry-leading algorithms, the system extracts the profile, performs highly accurate measurements and analyzes the results. Advanced vision tools provide an accurate surface location even if the surface has defects. 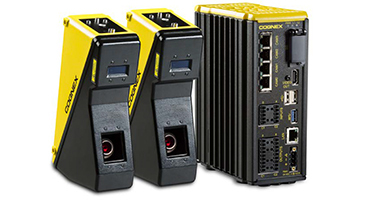 Advanced Control Solutions is a Cognex In-Sight Laser Profiler distributor in Georgia, Tennessee, Alabama and Mississippi. We offer free machine vision evaluations and technical support to help our customers solve their applications.